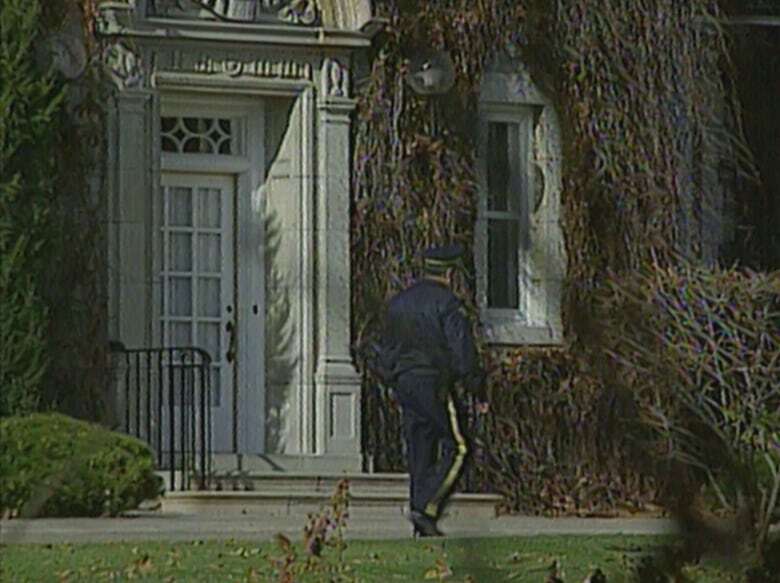 A 1995 break-in at 24 Sussex Drive raised many questions, including how an intruder was able to make his way into the prime minister's residence undetected. Prime Minister Jean Chrétien told reporters he was lucky to have his wife, Aline, on the case when a knife-wielding intruder broke into their home. But that was, perhaps, an understatement — as it was an alert Aline Chrétien who woke up, spotted the uninvited guest and took swift steps to protect her husband and herself. 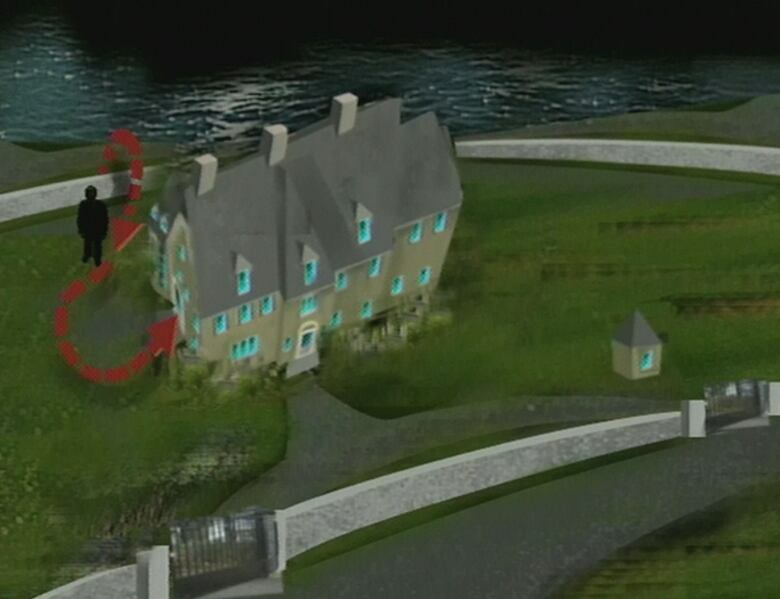 The RCMP, on the other hand, had missed the intruder's actual entry onto the grounds of 24 Sussex Drive and into the residence itself. "I could not believe what she was telling me," the prime minister told reporters, when describing what his wife told him was happening in their home during the early hours of Nov. 5, 1995. Jean Chrétien said Aline heard a noise, which sounded like someone walking inside the house, and went to check it out. "She saw a person in front of her and she closed back the door, very rapidly, came back to the room and locked the other door," said Chrétien, with Aline standing by his side, as he spoke to reporters. The prime minister said Aline called the police. He estimated it took the RCMP "six or 10 minutes" to get there. He said a man holding a jackknife was arrested outside the door of the Chrétiens' bedroom. "I think that I'm lucky that [Aline] was there," the prime minister said, further telling reporters: "We were shocked, but we are all right." He would later reveal that he grabbed an Inuit stone carving as protection, as he and Aline waited for the police to arrive. Why the RCMP took so long to get to the scene was just one question to be sorted out. Another was how the break-in could have occured in the first place. RCMP Insp. Jean St-Cyr told reporters all of those matters would be investigated. "How come he got there and if it's the case how come it took us so long to respond?" St-Cyr said, referring to the intruder. It would soon be learned that the intruder had climbed over a back fence to enter the property. He made his way into the residence by breaking a window. As the CBC's Julie Van Dusen reported four days after the break-in, the movement along the fence triggered an alarm, but an on-duty guard missed the event on a camera "and thought the alarm had been triggered not by a person, but by an animal." The RCMP would soon announce plans to increase security at the prime minister's residence and to boost the number of highly-trained bodyguards who protected him. But Chrétien would still experience security issues in future. In June of 1996, André Dallaire, the man who broke into the prime minister's residence, was found guilty of attempting to kill the prime minister. But a judge found him not criminally responsible for his actions — amid overwhelming evidence that Dallaire was schizophrenic. Justin Trudeau's home break-in: Do party leaders need more security?